This week on the October Afternoon blog, it's all about fun gift wrap and packaging ideas using the totally cute Make It Merry collection. I created a few pillow boxes to dress up with some fun bows and embellishments. I cut the pillow boxes out with my Cricut Expression 2 and Close to My Heart Art Philosophy cartridge. For my first box, I created a classic bow. 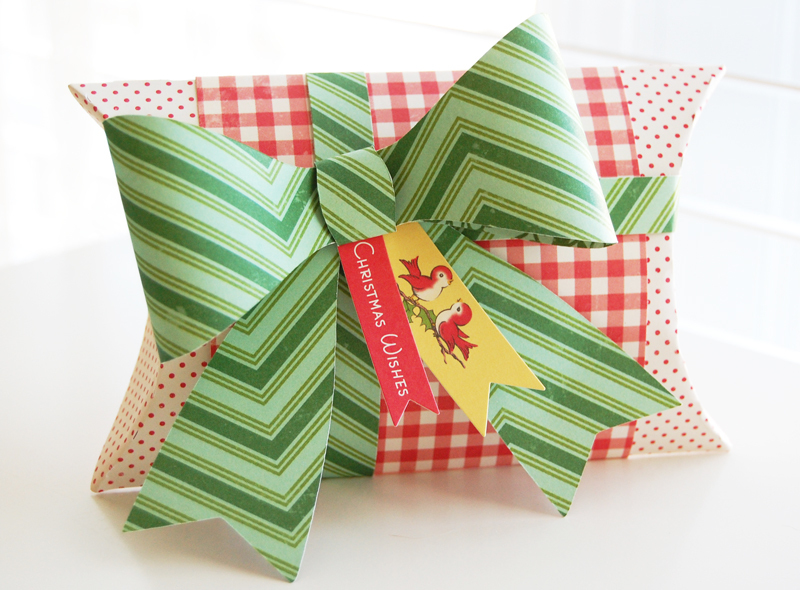 I folded 13 strips of patterned paper and layered and adhered them to create the bow. I added some fun die cuts from the Miscellany pack to finish the box. For the second box, I created a rosette. 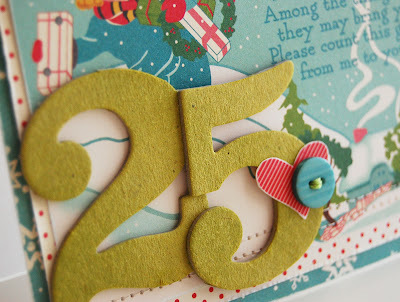 I cut the scalloped strip using my Cricut Expression 2 and Ribbons & Rosettes cartridge. You could easily create your own with a strip of patterned paper and some scallop-edged scissors. I thought is would be a fun change from a traditional bow. I finished the rosette with a Tidbits die cut circle, a coulple of buttons and some ribbon from the Miscellany pack, and a tag that I altered from the Designer Brads pack. For the third box, I created another paper bow. This one I cut out with my Cricut Expression 2, Cricut Craft Room design software, and the 3D Bows digital cartridge. This one was quick and easy, only three cuts and a little adhesive to put it together. I wrapped the box with some patterned paper strips and added a few Little Flyers to the bow to finish. 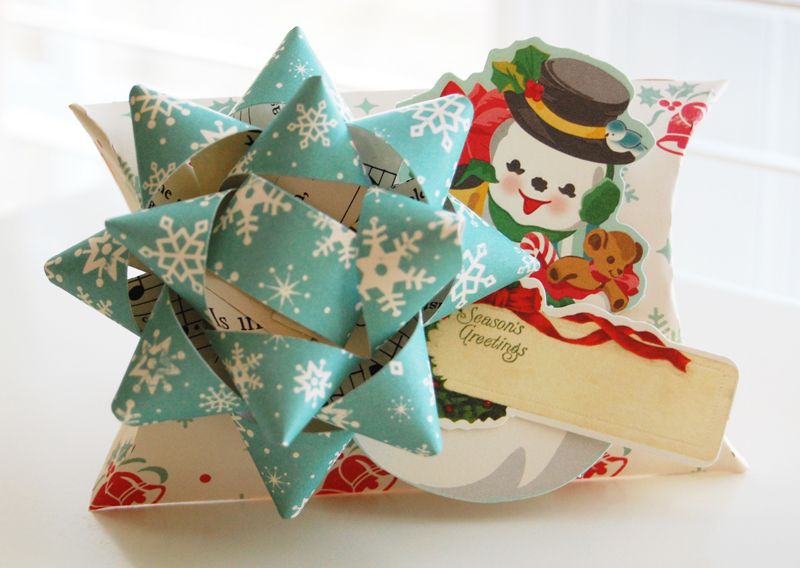 Amy Heller joined me on the OA blog post and you can see her cuter than cute gift wrap ideas HERE. Hey everyone! The new December kits (34th Street and Add-ons) are up at Studio Calico, and it is my month to share some Tips and Tricks using them on the Studio Calico Blog. All of the projects I created use the 34th Street Scrapbooking and Card Kits and the Herald Square Add-on. I thought with Christmas fast approaching it would be fun share some different ways to give gift cards. I tend to give them to a lot of people for all sort of occasions, but sometime they can seem a bit impersonal. Taking the time to jazz them up a bit shows that you put some thought into the gift. 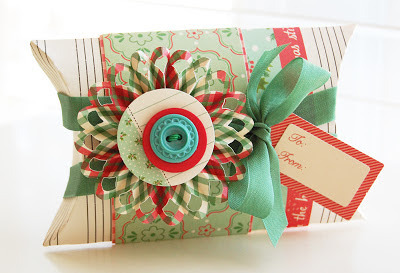 You can download the PDF tutorial HERE on the Studio Calico blog. There are step-by-step instructions along with a few tips throughout. I am sure you will love the kits and add-ons as much as I did, and if you are interested in trying to snag some of your own, you can find them HERE. OA Make It Merry Blog Hop and a Giveaway! Hi everyone and welcome to the October Afternoon Make It Merry blog hop! Today, through this blog hop, we will be showcasing the gorgeous and festive new Make It Merry collection from October Afternoon. I know you are going to love it, so let's get started! created this card using several of my favorite pieces from Make It Merry: patterned paper, chipboard, a postcard, die cuts, and a button. I just love the colors of the collection. I don't have the Sprinklers for this collection yet, so I used the Witch's Brew Sprinklers from the Witch Hazel collection instead to color the chipboard. I think it works really well with this collection, don't you? Today during the hop, I'm giving away a package of Make It Merry Washi Tape. All you have to do is leave a comment here on my blog by Monday, November 12th, at midnight CST, and let me know how you see yourself using this fun product. I'll draw one lucky winner to receive it. And don't forget to make your way back to the OA blog where the Grand Prize is being given away - a whole Make It Merry Collection Kit! You won't want to miss that! 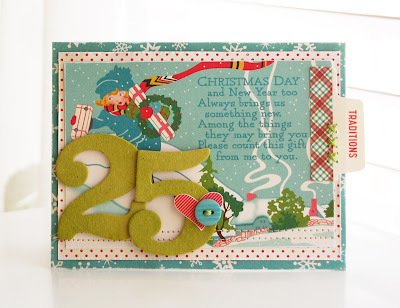 Now it's on to Jill's blog to see the gorgeous project that she's created with Make It Merry! And if you get lost along the way, here's the list of everyone on the hop.